Hollywoodnews.com: The toys are back … in sunglasses and grass skirts! Entertainment Weekly scored the first look at the short film. Check out a few still from the clip here. 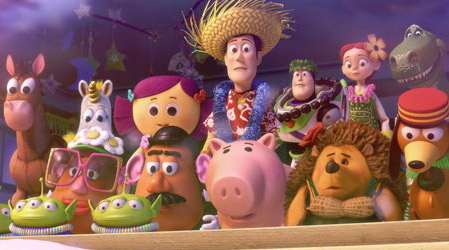 “Cars 2” will be in theaters on June 24, 2011, so we’ll be able to see the full “Toy Story” short soon enough.